The two-day cycling and wellness festival was chosen by popular vote among Topekans in early 2016 during Visit Topeka&apos;s My Top Festival contest. Ever since, committed area cyclists, Visit Topeka staff and several community partners have been turning their gears to plan two days of events for cyclists and fitness fans of all ages and ability levels. Everything from a glow ride and a trail-ride scavenger hunt, to yoga on the Capitol lawn, Zumba at the Jayhawk State Theatre of Kansas and food trucks with healthful entrees is in the works. 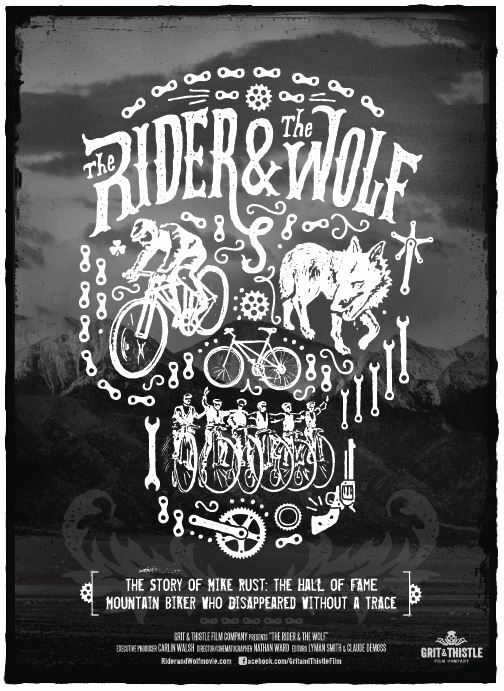 The Saturday night finale event will be Kansas&apos; first screening of the award-winning film The Rider and the Wolf, the story of Mike Rust, a mountain biking pioneer and Mountain Bike Hall of Fame cyclist who mysteriously disappeared in 2009. "We are excited to bring this film to Topeka and to Kansas," said Andy Fry, one of the committed area cyclists who first proposed a cycling themed festival. "This movie brings together the simplicity of bicycles and the focus of mountain biking legend Mike Rust. The movie also captures the progression of bicycling culture in the West from the ‘70s, with the original mountain bikes, through backpacking, which is quickly becoming a popular way to explore and camp in areas surrounding Topeka, the Flint Hills and the Midwest." The Rider and the Wolf will be screened as Cyclovia Topeka&apos;s finale event, beginning at 6 p.m. on Saturday, July 30 at the Jayhawk State Theatre of Kansas. Donations of at least $5 are requested at the door and will benefit the Topeka Bikeways Foundation. The Rider and the Wolf merchandise also will be available for cash purchase. Shawnee County&apos;s Largest Work out will kick off Cyclovia Topeka beginning at 7 p.m. Friday on the Capitol south lawn. The Glow Ride will begin at 9 p.m. The evening concludes with live music outside the Celtic Fox in Downtown Topeka. Activities pick up again Saturday morning, including cycling-related vendors, rides for children and more. Watch for more details at the Cyclovia webpage. Also throughout the weekend, Heartland BMX is hosting races and riders from across the country. If you&apos;ve never seen a BMX race, you&apos;ll have the chance Friday, Saturday and Sunday. Topeka recently was named a bronze-level Bicycle Friendly Community by the League of American Bicyclists.